Jackson Sze, the Senior Concept Illustrator at Marvel Studios, has been dropping various pieces of Ant-Man And The Wasp concept art on his personal Twitter account ever since it was released a few weeks ago, and a recent series is all about Scott and Cassie Lang having fun while insect-sized. The image above suggests a trip to the ice cream store, which is made all the more fun with a tiny sled – and we really wish this could have been incorporated into the feature. But that’s not all. Another one of Sze’s drawings has Scott Lang giving lessons on how to fly on the back of an ant. What’s particularly special about this one is that it gives us a close-up look at Cassie’s costume, which you’ll notice is outfitted with a clear dome instead of a mask (she doesn’t need to hide her identity, and it’s probably more comfortable for a kid). Sadly we didn’t get to see Cassie Lang do any growing or shrinking in Ant-Man And The Wasp, but there is a possibility it could happen in the future. Not only does she tease her superhero aspirations at the end of the blockbuster, but her counterpart in the comics is a costumed vigilante named Stature, having discovering a natural ability to grow and shrink due to exposure to Pym Particles throughout her life. 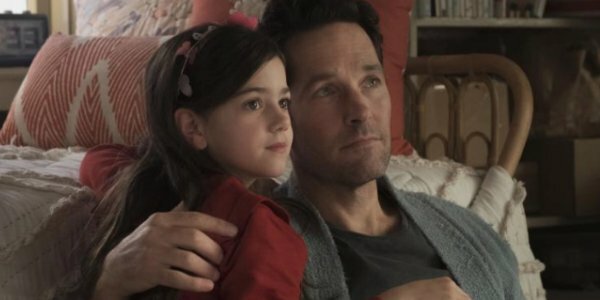 While none of the illustrated scenes featured here are actually in the movie, there are still countless of fun moments of similar ilk found in Peyton Reed’s Ant-Man And The Wasp‘s runtime – and you can still catch it in theaters now.